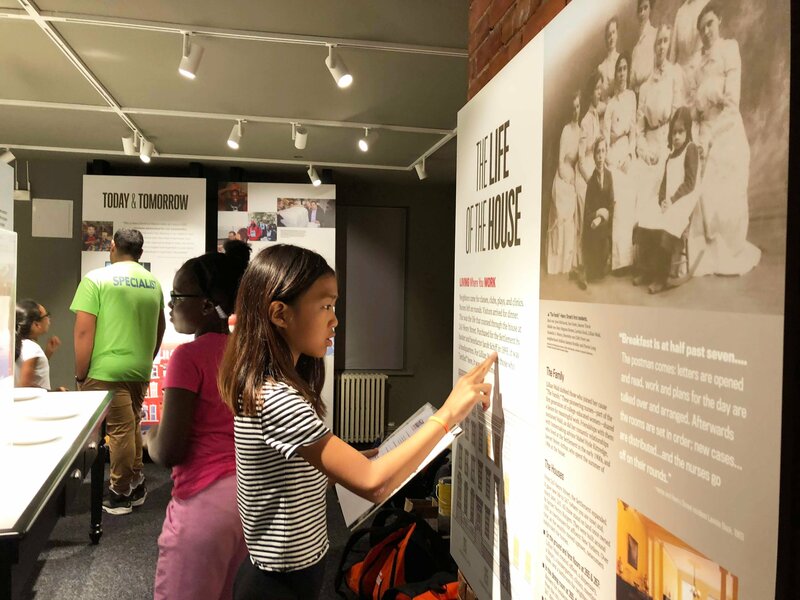 In honor of its 125th anniversary, the Henry Street Settlement, the community hub and social services organization at 265 Henry Street, has mounted a new permanent exhibit in its historic 1830 landmarked headquarters. 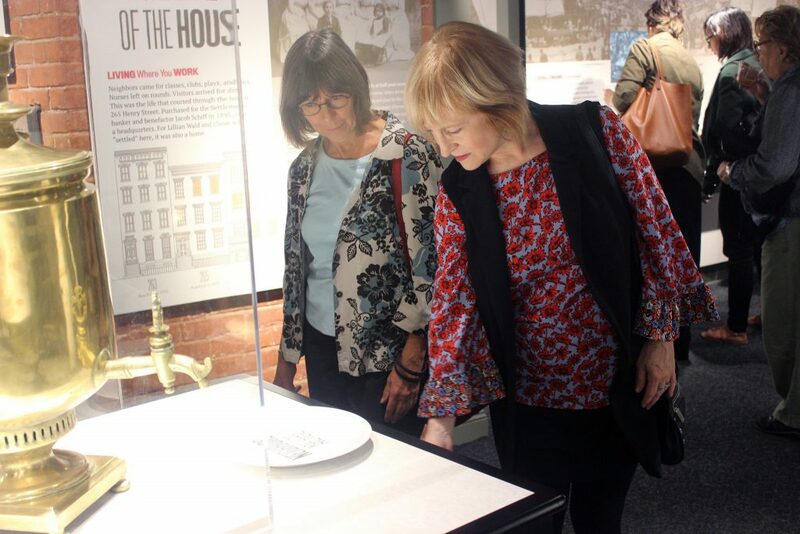 “The House on Henry Street” is a multi-media exhibit that highlights the legacy of the Settlement’s founder, Lillian Wald, and explores over a century of social activism, urban poverty, and public health on the Lower East Side through the lens of the Settlement’s own history. Incorporating archival photos, video and sound recordings, historic objects, and quotations from both settlement workers and clients, the exhibit distills over a century of history into a stunningly rich and deeply moving meditation on the vital importance of community-oriented social activism. 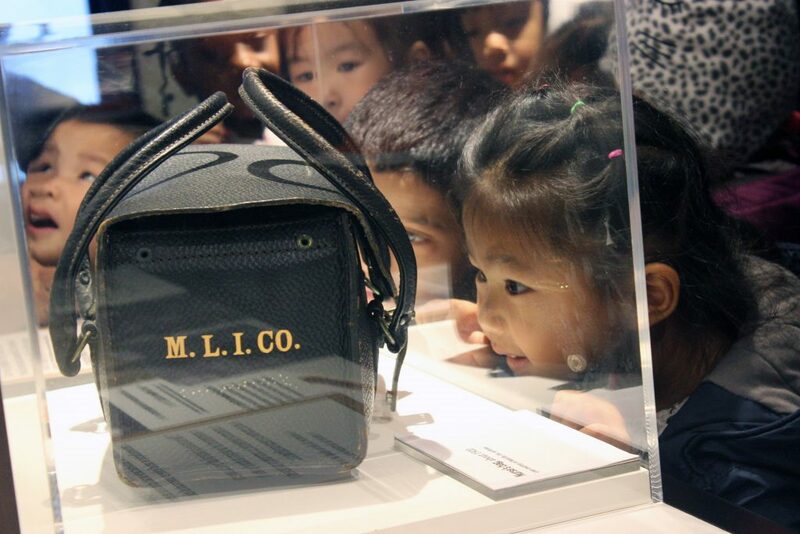 The exhibit is small, but teams with information and with life. Entering the gallery, one is situated on Henry Street before the Settlement, in the early 1890s, when the Lower East Side was the most densely populated place in the world, and the immigrants who lived in the neighborhood had to contend with dismal working and living conditions. Those conditions inspired Lillian Wald, a 26 year-old nurse to live and work on the Lower East Side as a visiting nurse. Wald and her fellow nurses cared for patients in their homes, charged little or nothing, and worked to treat patient’s illnesses, as well as the social conditions, like poverty, inadequate housing and employment discrimination, which had caused them. 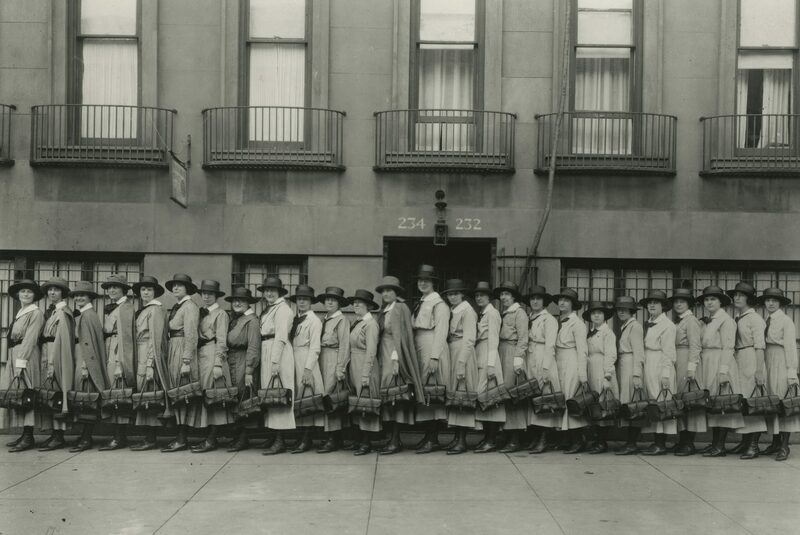 Wald’s work as a nurse eventually grew into the Visiting Nurse Service of New York, but it was just one way she was of service on the Lower East Side. When Wald Founded the Henry Street Settlement in 1893, she identified “four branches of usefulness,” which included visiting nursing, as well as “social work, country work and civic work.” All four branches became part of Henry Street’s programming, and much of the exhibit is devoted to examples of that work, which included implementing the nation’s first school nurses and establishing some of the first playgrounds in the United States. Perhaps most effecting is section on dinner. In current parlance, the social activists work to make it possible for under represented groups to have “a seat at the table.” As the exhibit makes clear, the Henry Street Settlement has been doing that in the most literal sense for 125 years: Lillian Wald invited neighbors from around the corner, and leaders from around the world, into her dining room to meet as equals and exchange ideas around the table. In fact, in 1909, 200 reformers led by W.E.B Du Bois met in the Settlement’s dining room to found the NAACP. The final section of the exhibit offers a timeline, tracing the Settlement’s growth from 1893 to today. For those interested in tracing progressive history through the Lower East Side itself, the exhibit also offers a self-guided walking tour app. Today, the Henry Street Settlement continues to fight for fair housing, employment, education and nutrition in New York City, and the exhibit succeeds in honoring the Settlement’s history while pointing towards its future. This Sunday, December 2nd, you can celebrate the Settlement’s history and get in the holiday spirit around Lillian’s table. The exhibit will be open 11am-5pm, with a special holiday apple fritter cooking demo in the kitchen, and tours led by the Settlement’s public historian, Katie Vogel, at noon, 2pm and 4pm.